Dialogue in the Dark in Hong Kong might not be a "tourist attraction" per se, but it is definitely an extraordinary activity that you might not have a chance to experience in your home country as it is, although continuously expanding, only available in a handful of places worldwide. What is it you ask? 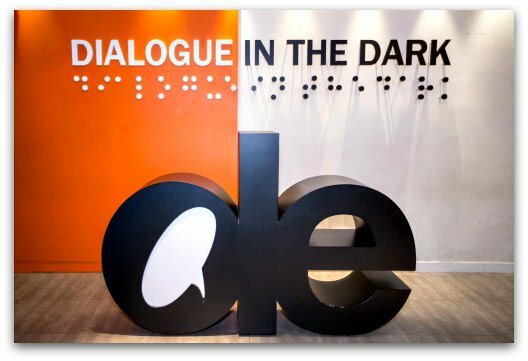 Dialogue in the Dark is a series of every day settings to be experienced in total darkness as blind guides lead you through the different situations. The simple concept originated in Germany in the late 1980s when Andreas Heinecke, a Philosophy scholar, had a chance to work and develop a training program for a blind colleague, Mathias. This encounter changed his views and preconceptions about people living with disabilities. He learned through Mathias, how wrong the stereotypes and cliches about blind people were and how these prejudices which are shared by a vast majority of the population, were the source of unequal opportunities for the blind in education as well as job chances. He set out to change that by educating others to gain a better understanding about blindness. At the same time his endeavour would employ, encourage, and empower blind people. This was for Andreas a start of a lifetime of work as a social entrepreneur and how Dialogue in the Dark was born. The Dialogue in the Dark Tour is more of a "workshop" where the setting is complete darkness. 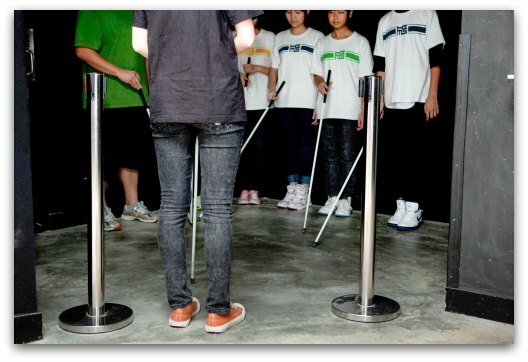 The exhibition is meant to turn the tables and immerse you in the world of the blind, where you are the blind, and the blind lead you through their world. My experience with Dialogue in the Dark was in Hamburg, Germany, one of their flagship locations. 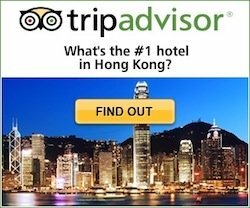 Although we have not tried the one in Hong Kong, we are reassured by the reviews from previous visitors in Hong Kong we have read and encourage you to do the same. I believe DiD Hong Kong will be just as rewarding and inspiring. It is a 75-minute immersion, after which, your perspective of blindness will be forever changed. 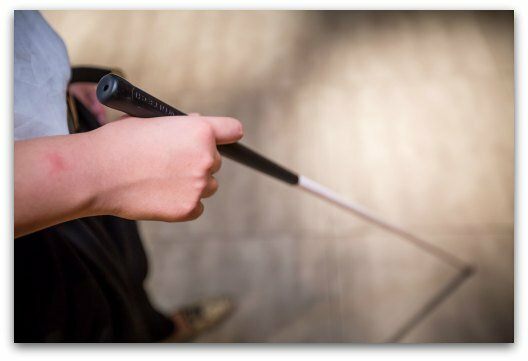 Via the interactions with the blind guides, you learn a lot about their basic every day challenges, but also how marvelously they cope with everything that come their way. It is a very humbling experience to say the least. Tours in Hong Kong are offered in English, Cantonese and Mandarin, spots are limited so be sure to book in advance. Dialogue in the Dark is in the Kowloon side and easily reached with the MTR Tsuen Wan Line (Red). 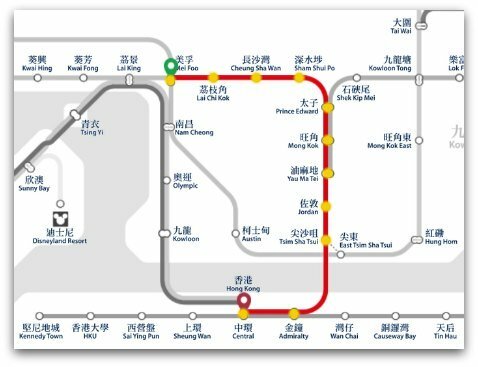 Head to the Mei Foo MTR station, which is about 16 minutes from Tsim Sha Tsui and 22 minutes from Central. 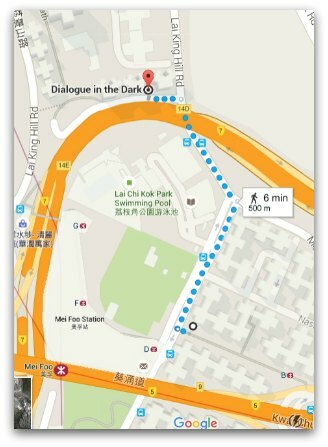 Then it is about a 6-minute walk from Mei Foo MTR station Exit C1 to Dialog in the Dark. There several sessions per day conducted in English, Cantonese and Mandarin. In addition to the regular Dialogue In The Dark tour, they also offer many other experiences such as "Dinner In The Dark" and "Party In The Dark". ›› More info Dialogue in the Dark. ›› Pricing and Availability for English Dialogue in the Dark Tour. This 18-minute TED Talk with Andreas Heinecke will give you a better understanding about the Dialogue in the Dark concept, how it got started and why. Here's a list of all current locations worldwide where Dialogue in the Dark is offered. If you cannot get to the one in Hong Kong, check out if there is one near by where you live!